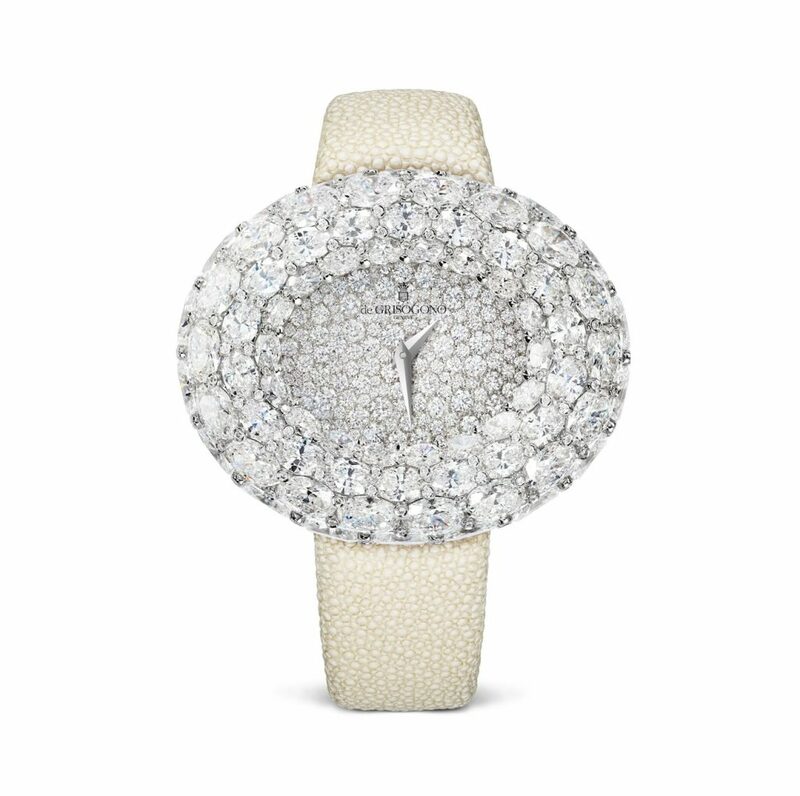 ONE OF THE MOST UNDERRATED WEDDING ACCESSORIES, a bridal watch is a trend itching to make a comeback. It is stylish, fashionable, and most of all, practical — no excuses to be late at the altar. What’s more, you can even choose a matching pair with your groom to make the occasion more romantic and memorable. Choose from the simple and classic, to the outright glamorous. Whatever your preference, a watch makes for an elegant and functional accent to your whole bridal ensemble. Here are five reasons to convince you thus far. It may be called the Harry Winston Emerald but there is no such stone here. 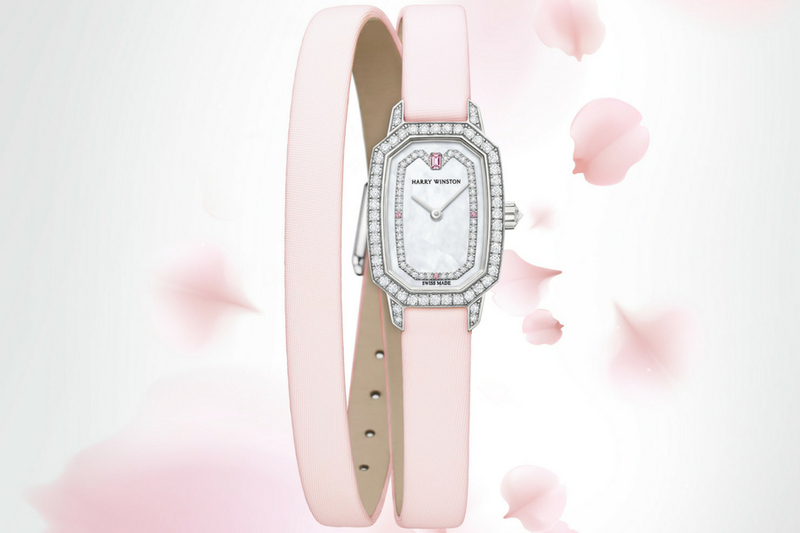 Instead, one gets a timepiece adorned in soft pink tones, an all-favourite shade for brides (and bridesmaids). 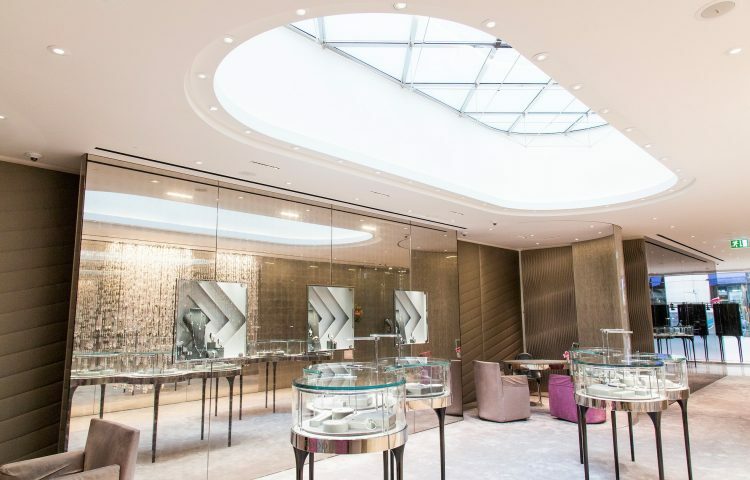 It gets its name from the Art Deco lines of the white gold case, which echoes the silhouette of Harry Winston’s preferred diamond cut, the emerald cut. Thecase and lugs are enhanced by 53 brilliant-cut diamonds,while the dial is adorned with 44 brilliant-cut diamonds and three pink sapphires at 3, 6 and 9 o’clock. Crowning the feminine dial is an emerald-cut pink sapphire at 12 o’clock. 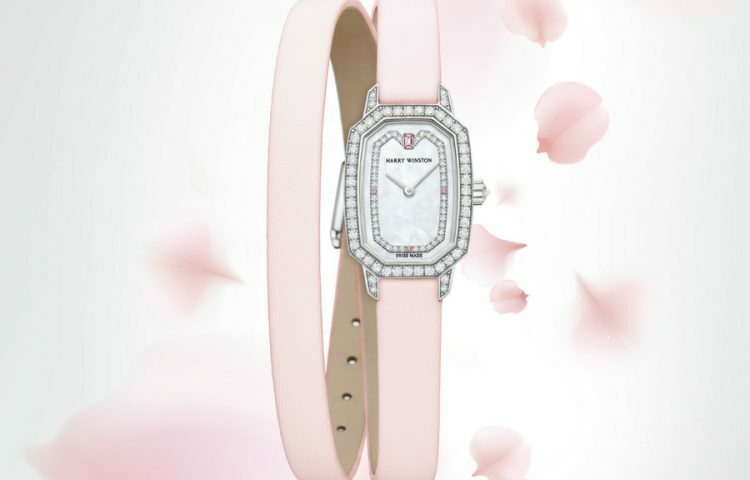 Equipped with a precision Swiss quartz movement, it has a pink satin strap that wraps twice around the wrist and a diamond-set ardillon buckle. 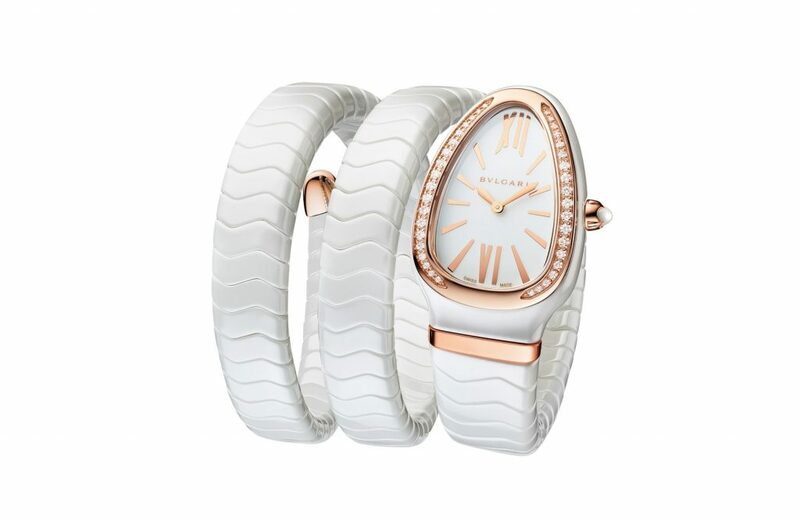 Brides who are looking for something that’s elegant, minimalist but with a touch of boldness and modernity can look to the latest Serpenti watch by Bvlgari. Featuring a high-tech twist in its latest incarnation for 2018, the Serpenti Spiga Ceramic in white features an extended ceramic bracelet with rose gold inserts that coils around the wrist twice for an edgy look, but without losing its elegant form. 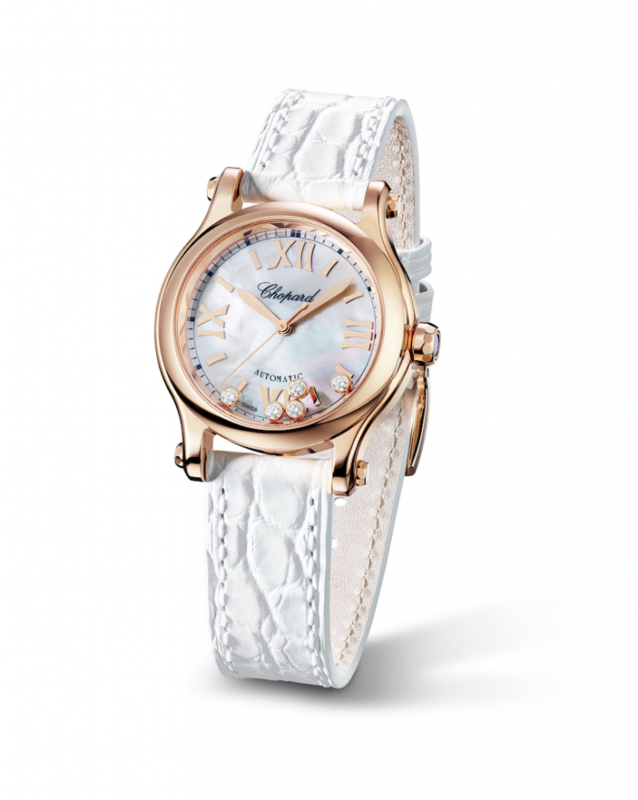 It is a natural extension of the rose gold case which houses a polished white lacquered sunburst dial. It is enhanced by brilliant-cut diamond accents on the bezel and a crown set with a matching cabochon stone. The two-hand watch is powered by a high precision Quartz movement. What you wear is a reflection of your personality. So if you are the sporty type, the Happy Sport watch could be the perfect timepiece to accompany your bridal dress. The 30mm case in 18K rose gold frames a white textured mother-of-pearl dial with five moving diamonds, gilded Roman numerals and hour makers, and coneshaped hours and minute hands. Representing independence and freedom of movement, the watch now features a self-winding movement, the 09.01-C, exclusively developed for 30mm ladies’ watch cases. 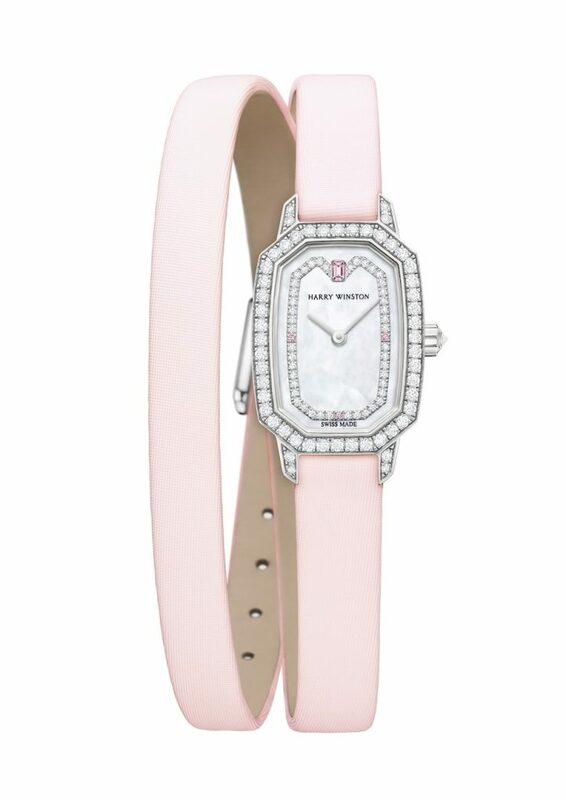 A matte white alligator leather strap with rose gold pink buckle adds a softness and purity to the timepiece. Butterflies, a princess, and a secret — combine all these and you get this irresistible jewellery timepiece by Graff. 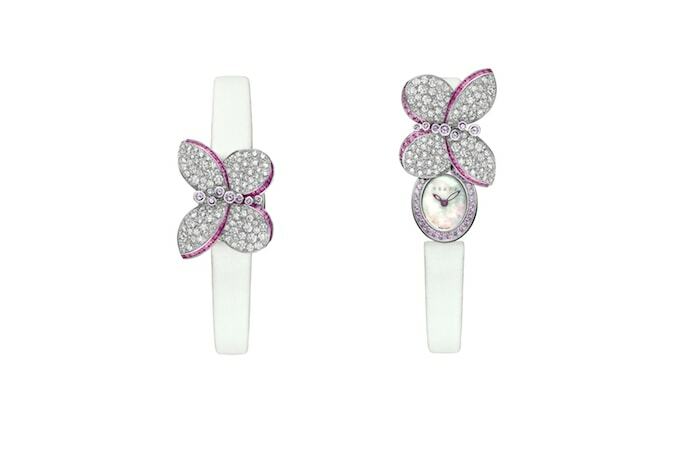 It is a watch that brings out the romantic in everyone, thanks to its sculptural bejewelled butterfly featuring pink tapered baguette-cut sapphires framing the outline of each pavé diamond wing. Sitting upon a white satin strap, a gentle twist of the wings reveals a hidden mother-of-pearl dial. The butterfly watch is also available in pink sapphires. A jewellery watch is an ideal meeting point for one who desires the glamour of a bracelet and the functionality of a timepiece. The Cascata is all that and more. 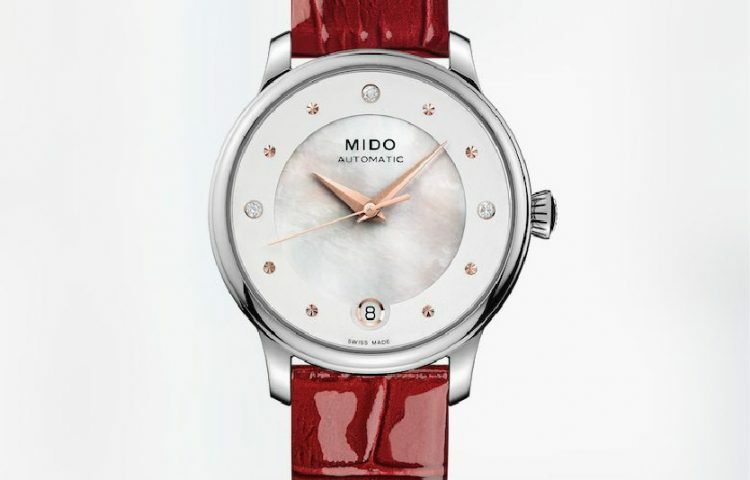 It features an 18K white gold case set with 72 oval-cut and 254 brilliant-cut diamonds and a white galuchat strap. The secret lies in a gem-set gold wire structure that brings the silhouette of the watch to life, where dainty prongs are paved with the diamonds and bear the precious stones in graduated sizes on the oval-shaped bezel. Artisans spent almost 100 hours re-cutting the stones so that they merge into a seamless whole. 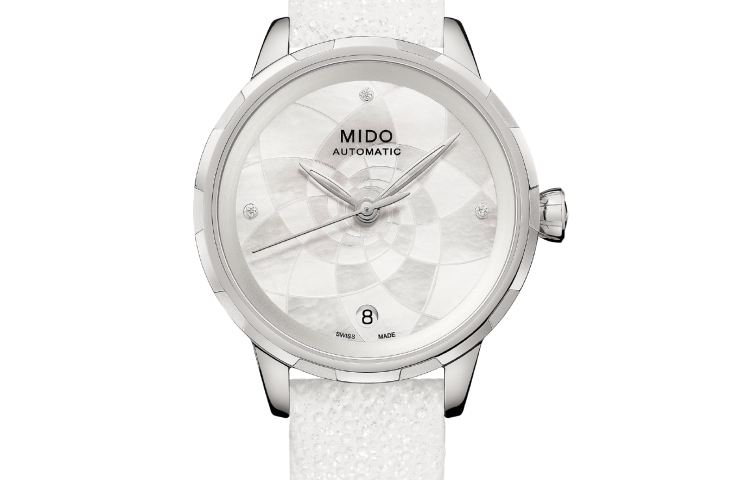 The dial itself is snow-set with 148 diamonds, and has rhodium Dauphine hands powered by a quartz movement.